Every New England offseason has its share of turnover. Surprise trades (Brandin Cooks, Logan Mankins, Lawyer Milloy) and veteran free agent signings are usually the meta for GM Bill Belichick. There might be some questionable and even shocking decisions made, but always in Bill We Trust. A majority of the decisions made come from letting free agents walk over a couple million dollars. This has been the Patriot policy since 2000, and doesn’t usually change as long as Belichick has something to do with it. Aside from a few exceptions, the Patriots almost exclusively refuse to overpay for any player. Stephon Gilmore is the most recent expensive signing, and he seems to be working out okay. However, others who have demanded a Brinks truck type contract have been dismissed from 1 Patriot Place. This upcoming offseason, the Patriots have 22 players that are up for free agency. So which of those key free agents are leaving, and which ones are sticking around to defend the title? The all time leader in points scored in franchise history should stay put this offseason. He was franchise tagged last time he was a free agent, and while that remains a possibility this offseason, a two to three year deal seems more logical. 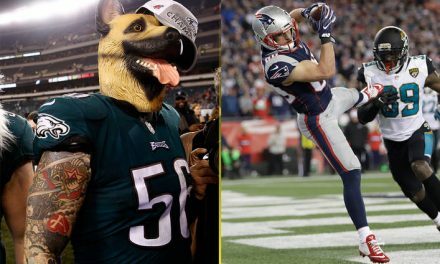 Kicking is valuable in the NFL these days and the Patriots know the value of Ghost. Patterson is a tricky player to predict in terms of value. The Patriots got him in a steal of trade with the Raiders, but his market value will determine if he remains in New England. He is a solid kick returner, something the Pats lack on the current roster, and a weapon on offense. The jet sweep was one of the offense’s best plays this past season and it was in large part thanks to Patterson. I believe he will stay on a one or two year deal for around 4-5 million due to his kick return ability. Hogan’s tenure with the Patriots was a weird one. At times it seems like no one of the field can cover him, and other times he can’t separate at all. He has come up clutch in the playoffs but this past season the Patriots showed they don’t need him anymore. It’s unfortunate, as Hogan is a great guy and a true Patriot on the field, but he is going to ask for too much money. There are a lot of variables surrounding the second McCourty brother. He was one of the best pickups of the offseason, but remains a mystery. 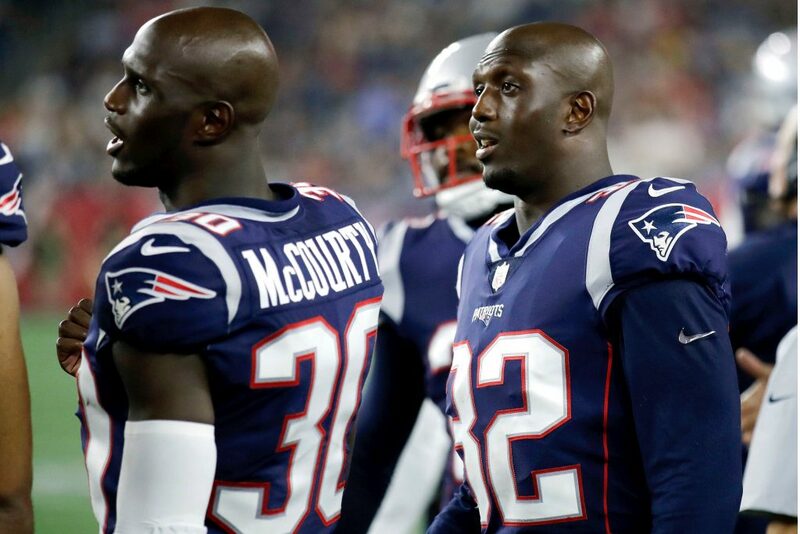 Devin McCourty has been flirting with retirement and Jason could very well follow suit. I think if Devin does stay a Patriot then Jason would take a pay cut to remain on the field with his brother. If Devin retires however, I would think Jason is worth too much money for the Patriots liking. Another former 0-16 Brown turned champion, Shelton was a solid trade. The run defense drastically improved with him on the field, but he was also inactive for nearly half the season. New England could slightly overpay for the big-bodied tackle but coming off a Super Bowl run will increase Shelton’s market. If he does resign with the Pats, a preseason roster cut would not be out of the question if he under-performs. The third wide receiver set to hit free agency, Dorsett was wildly underused this season. He didn’t drop a pass thrown his way since Week 4 against Miami and was a good route runner. 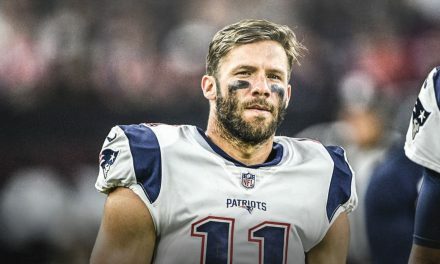 Playing behind Hogan and Edelman decreased his playing time, but a third full season with the Patriots could be extremely beneficial. His market won’t be large, and I think the Pats bring him back on a short term, low value deal. After his performance this year and in the Super Bowl, New England better resign Allen. A legitimate argument could have been made for Allen as the SB MVP, and Bill Belichick loves special teams. 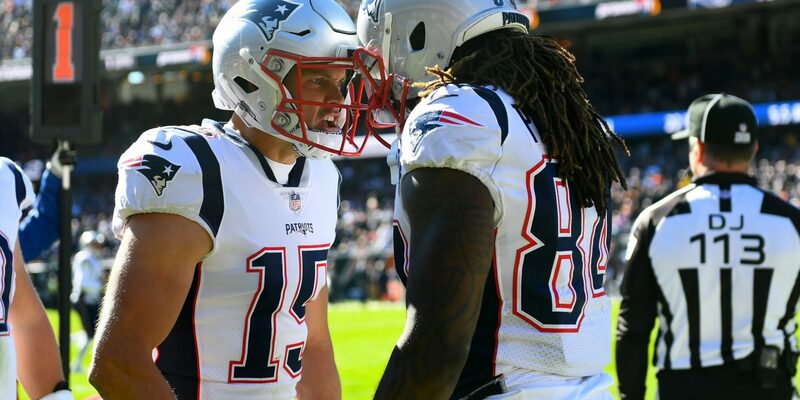 Allen would be hard to replace and should remain in New England unless a team overpays for him. The true mystery of the offseason, Josh Gordon is a restricted free agent but is expected to stay with the Pats. This, of course, hinges on Gordon completing his rehab and being reinstated (which can happen in May). If the former All-Pro can stay clean and get the help he needs, he will make the offseason a success. Assuming all goes well and the Pats match any offer teams give Gordon, he should be back in training camp this summer. With Isaiah Wynn coming off Injured Reserve next season and Waddle nearing his thirties, it makes sense for him to leave. He has been a serviceable backup to any offensive lineman that was hurt but could land a starting job on a more needy team. The Patriots should seek some help in the draft with offensive lineman depth, negating the need for Waddle. Spending most of the season on IR, Rowe vastly underperformed the first few games. The emergence of J.C. Jackson and rookie Duke Dawson set to come off IR, Rowe is no longer needed. However, due to his injury history, the Patriots could wait out the market on Rowe and see if he signs elsewhere. If he doesn’t, a low value “prove-it” deal would be beneficial to both sides. Another factor in his resigning is Jason McCourty, who would negate Rowe’s value if brought back. With Danny Shelton also a free agent, it would be prudent to resign at least one of these tackles. Brown is the optimal choice, as he has been here longer and outplayed Shelton this season. Brown has good technique, and after a rocky start, had a fantastic finish to the season. This is one player New England would be wise to pay. The marquee free agent for New England: Trey Flowers. He is as disruptive and effective as any defensive end in football and this is someone the Patriots need to overpay for. He needs to be the Stephon Gilmore of this offseason, no question. PFF ranked him as one of the top edge rushers in the NFL this season and he is irreplaceable in the New England defense. Flowers will command a contract that may exceed 80 or 90 million, but he is worth every penny. Perhaps the largest sized Patriot in recent memory is set to have a big pay day. Brown’s play this season made his value sky rocket and teams will be gnawing at the bit to sign him. 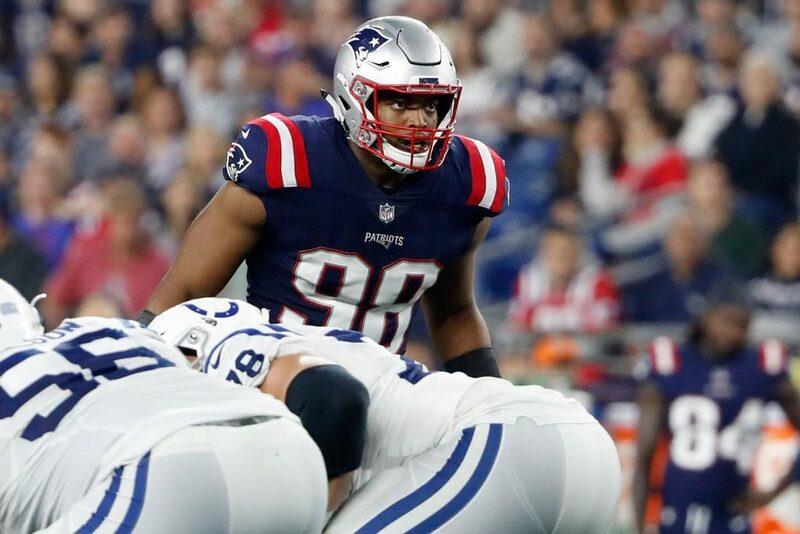 With Isaiah Wynn in waiting, and Trey Flowers set to break the bank, Brown will unfortunately have to move on to greener pastures. It is worth noting that if New England feels like they can’t resign Flowers, the focus would turn to Brown. With Jason McCourty potentially leaving, and Eric Rowe almost definitely departing, Jones should stay. He is a restricted free agent so if the Patriots want him they will keep him. Jones won’t get a huge offer from another team, but his speed is valuable. I think unless an offer comes in that exceeds 5 million, the Pats keep him around. His special teams prowess also makes him more valuable than others on this list. 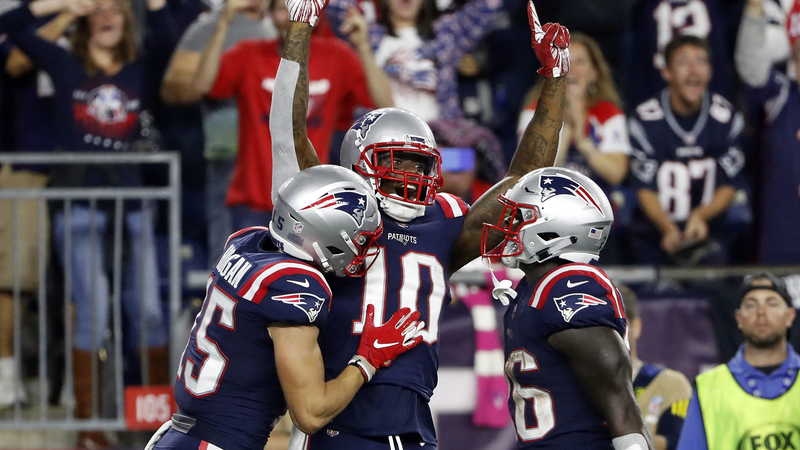 An underrated pickup of the 2018 season, McClellan quietly made second team All-Pro for special teams. It’s because of this All-Pro nod that he will get solid money from another team. If it was another offseason and the Pats had less free agents to sign, Belichick would resign him. However, due to the plethora of more important players, McClellan will walk. Another quietly solid pickup this season, the veteran Simon made a few key plays along the season. He deflected a pass and had a tackle for loss in the Super Bowl, but like McClellan he is lower on the totem pole. If several free agents who are expected to stay do leave, Simon could be brought back. However, as of now, I would bet on him moving on. This is the type of player the Patriots usually bring back. New England loves veteran free agents who hold their value to the team. Humber was primarily a special teamer, but with McClellan most likely departing, Humber should be resigned for dirt cheap. Another depth option, Schwenke was inactive for the entire 2018 season. However, he has been here for a year and is the only center on the roster besides David Andrews. He should be resigned for close to a million. NextWho are the heroes of Overwatch? A basic guide. 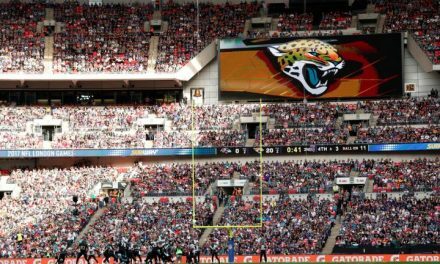 Jagged Island for Jacksonville’s Jags?